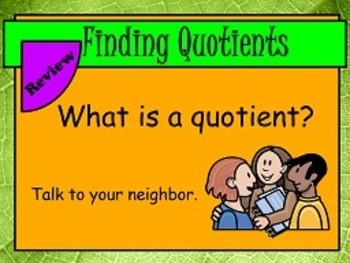 Interpret Whole Number Quotients OA.2 FLIPCHARTS and worksheets! 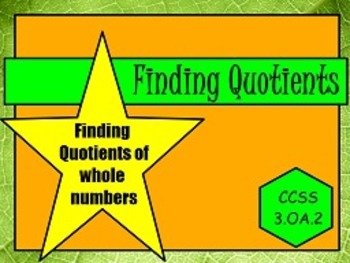 This packet was designed and put together to help the classroom teacher teach and practice the Common Core Standard: OA.2 "I can interpret whole number quotients of whole numbers". 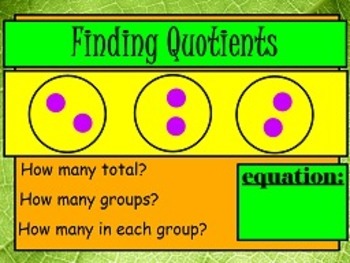 Flipchart 1: Covers the standard by defining 'quotient' and showing how to find it by separating the total into equal groups. Flipchart 2: Covers the topic by showing a picture/array and having the students identify the division fact that goes along with it. 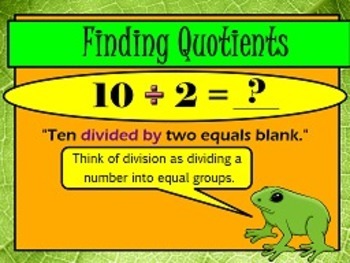 Flipchart 3: Covers the topic by practicing word problems for division. The homework/practice pages are pdf documents.